Oftentimes, when we talk about deaf , mute or blind people, we refer to them as People with Disability. On the other hand, they have made their lives as normal as possible despite of their disabilities. Their ability to express, love, gratitude, and zest for life no matter what their limitations are - this is an ability in itself. It's time to give attention to "PEOPLE WITH THIS ABILITY" . 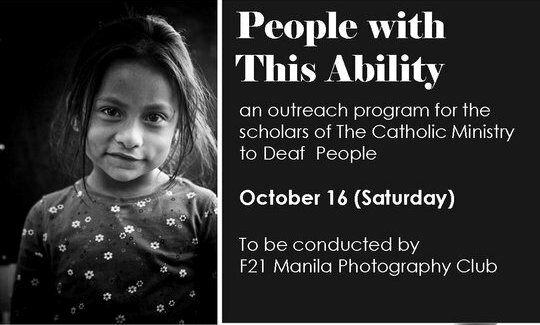 My photography Club, F21 Manila will hold and early Christmas treat on October 16, 2010 Saturday to a group of deaf children affiliated with the Catholic Ministry of Deaf People. We'd appreciate your support (in kind or in cash) to make this event a success. 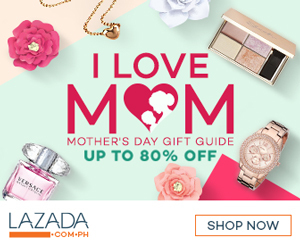 For more information, you can visit our official website http://www.f21manila.org/. Make someone special feel the early Christmas spirit.